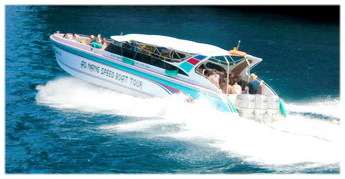 Depart Noppharat Thara Beach Chicken Island Sightseeing and enjoy swimming and snorkeling among coral reef and fishes. Si Island Popular location for excellent snorkeling the marine life here will amaze. Tup One of Thailand’s unseen Highlight.Relaxing the white sandy linkage between Tup Island and Chicken Island at low tide. Poda Island Relax for sunbathing and sea sports. Lovely white sandy beach ideal for sunbathing, swimming and snorkeling. 15.00 pm. Arrived Ao Nang Beach and Transfer back to hotel. 08:00 am. Pick up from the hotel by minibus. 11:00 am. Arrive at Phi Phi Don. Sightseeing at the Viking Cave, Ao Pileh, Ao Loh Samaand around Phi Phi Lay. Snorkeling at Maya Bay. 13:00 pm. Lunch at Koh Phi Phi Don and free time at your leisure. 14:30 pm. Shop and enjoy beautiful sceneries and Island of the Andaman Sea. 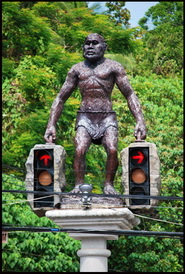 Pick up at Hotel to Half-Day Phuket city tour. * Visit Khao Kanap Nam These two hills, roughly 100 meters high, flank the Krabi River running between them to form a distinctive vista and the town's most prominent landmark. Half-Day Krabi Sightseeing Tour Approx. 5 hrs. 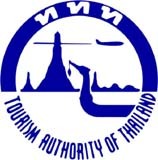 Krabi city tour can be moved either on your first or last day depends on your flight schedule..